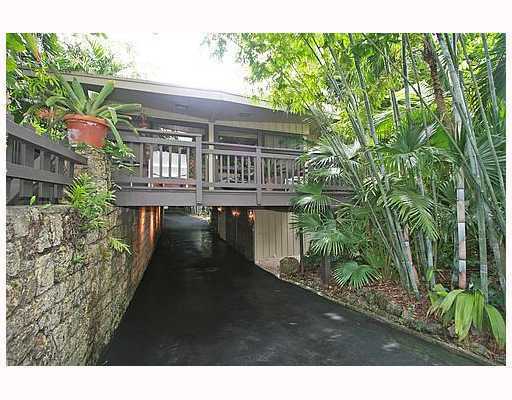 Alfred Browning Parker built this classic mid-century residence (above) in Coconut Grove in 1953. It has two bedrooms, one bathroom and an office on 1072 sf under air – not large by today's standards, but an open floor plan and wrap-around balconies integrate tropical outdoors and indoors nicely. $599,000. Within walking distance to the beach are these new townhomes in Pompano Beach. Three bedrooms, three bathrooms and a guest bath are spread out over approx. 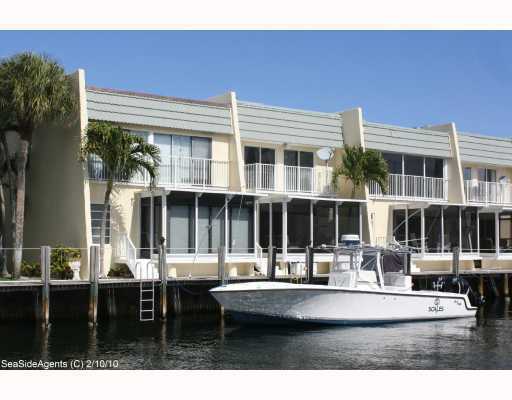 3,031 sf under air, with several models available, including some on the water with private dockage. Starting at $578,788; waterfront units are in the $800,000s. 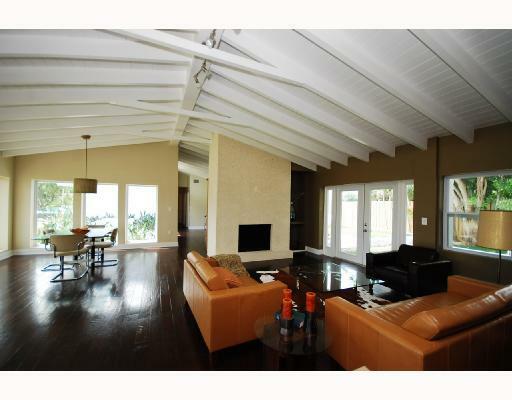 A five-bedroom/four bathroom home directly on a golf course in Tamarac, with ca. 3,940 sf under air, built in 1969. The property offers volume cedar ceilings, a wood/gas fire place, an oversized garage and pool with spa. $549,000. Short sale in Miami Shores: a waterfront home with 122 feet on a deep canal, with no bridges to the Bay. Renovated kitchen and baths; big master suite, kitchen open to the family room. 4 bedrooms, 2 baths, ca. 2,880 sf, two-car garage, corner lot, built in 1949. Reduced twice to $525,000. 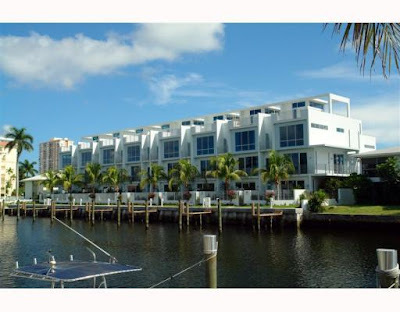 Another townhome, this time in Highland Beach, located just north of Boca Raton. Waterfront with dockage included (! ), and pet friendly to boot. Completely updated, with 3 bedrooms, 2 bathrooms and a guest bath, ca. 1,456 sf under air, built in 1977. $540,000. 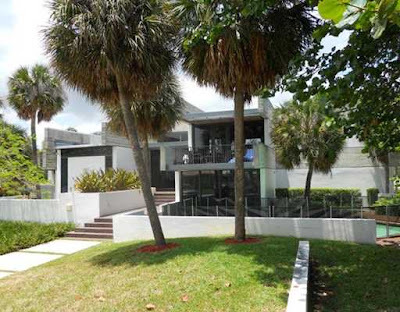 International Style and Brutalism made love and gave birth in Lighthouse Point, to a 4/3 with ca. 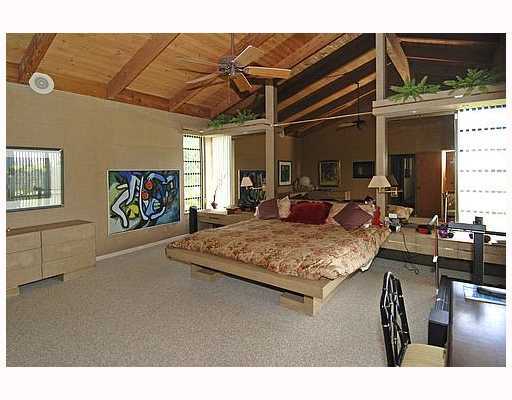 2,800 sf (the listing Realtor calls it "hip and contemporary Frank Lloyd Wright style”. A visit to the history page could clear that up quickly). Built in 1971, with impact doors and windows throughout, and a pool. Reduced this week from $549,000 to $499,000. If you're not completely thrilled with what you see here, email me for alternative suggestions please. In the meantime, thanks for reading this post! Odd Obsessions, Miami Vintage Stores anyone? 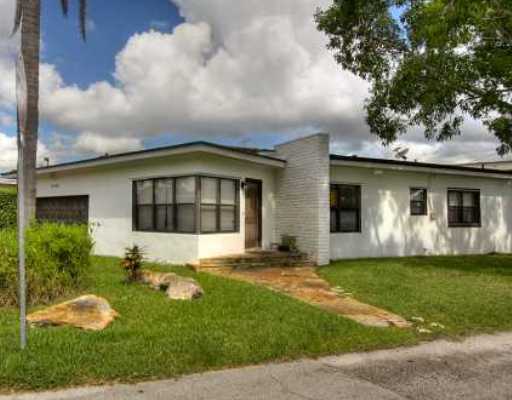 In this post: The obsession with Pending Sales, July Market Statistics, upcoming post "Vintage Furniture Stores in Miami-Dade", housing for Purple Martins. If you read the Wall Street Journal, you may have seen an interesting piece last week about the housing market; interesting because it quoted a data set I have a major problem with: Pending Sales. If you are not familiar with the real estate industry, you may not know that some analysts regard Pending Sales as an early indicator of housing market trends. Merely because buyer and seller execute a contract does not at all mean they will go to closing; only last month I represented a buyer who got a severe (but understandable) case of cold feet. In my observation, currently approx. 25 to 35 percent of all pending contracts do not close because financing or other conditions point the transaction south. Please consider that whenever you see Pending Sales being interpreted as a market indicator. Upcoming post "Vintage Furniture Stores in Miami-Dade"
Back in March, I wrote about furniture stores in Broward county that specialise in vintage modern furniture. That post turned out to be quite popular, so I just started researching the same for Miami-Dade. I have quite a list of stores already together, but would love to get your input. If you know of a store that deals with used modern furniture in Miami-Dade, would you please fire off a quick email? Thanks for helping me! A great read (for Saturday morning over coffee at the Eurobread?) appeared in yesterday's NYT: Birdhouses Designed for Repeat Visitors. Enjoy!